Omega-3 supplements slow aging, says new research from the Ohio State University. The study found that adults who took omega-3 supplements managed to change the ratio of fatty acids profile in a manner that helped some segments of the DNA called telomeres. Omega-3 fatty acid can be naturally found in fish oil from tuna, salmon, mackerel and trout or other sources like walnuts, flax seed, soybeans and kidney beans. Telomeres are protective caps at the end of chromosomes. The main function of telomere is to prevent the genome from becoming unstable. Telomeres are like plastic caps at the end of shoelaces. "If that plastic comes off, the shoelace unravels and it doesn't work anymore. In the same way, every time a cell divides, it loses a little bit of its DNA at the ends, and over time, that can cause significant problems," said Ron Glaser from the Ohio State University. Omega-3 fatty acids also reduced oxidative stress that is caused by free radicals in the blood by about 15 percent. 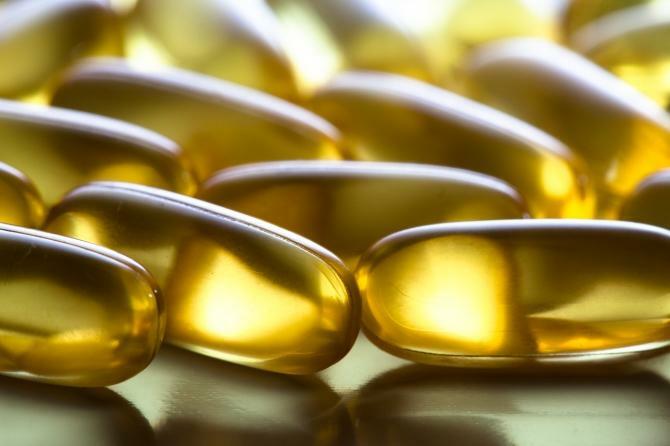 Participants in the study either took a pill with 2.5 grams or 1.25 grams of omega-3 fatty acids. Another set of participants were given a placebo pill that contained oils that are typically found in average American diet. The type of fatty acid commonly seen in the American diet is the omega- 6 fatty acids and although this type of fat can also be good for health, too much of it can cause health problems. For maximum health benefits, the researchers say that the ratio of omega-6 fatty acids and omega-3 acids should be at 4:1 or even just 2:1. The researchers found that fatty oils ratio affected their telomere length, the lower ratio of the fatty acids related to longer telomere length. Omega-3 fatty acids even lowered a biological marker, interleukin-6 (IL-6), in the body that shows the level of inflammation in the body. IL-6 was lowered by 10 to 12 percent in people who took omega-3 fatty acids. In people who took a placebo, the levels of IL-6 increased by 36 percent. "This finding strongly suggests that inflammation is what's driving the changes in the telomeres," said Jan Kiecolt-Glaser from the Ohio State University who is the lead author of the study. "The telomere finding is provocative in that it suggests the possibility that a nutritional supplement might actually make a difference in aging," said Jan Kiecolt-Glaser. Although longer telomere lengths are associated with good health, a previous study had found that longer telomeres might increase a person's risk of colorectal cancer. The study was published in Brain, Behavior, and Immunity.